What would define your perfect weekend retreat? Relaxation, delicious food, and a beautiful atmosphere would be among some of our top picks. 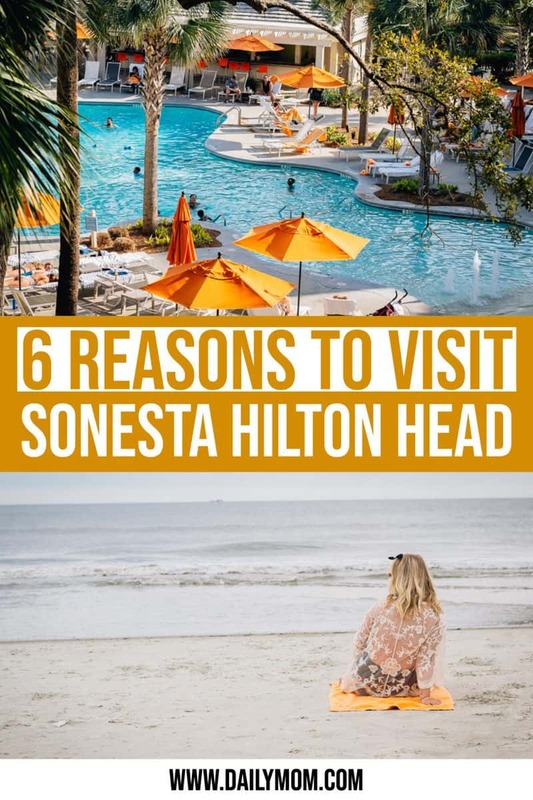 The Sonesta Hilton Head Island Resort offers all of those things and more. 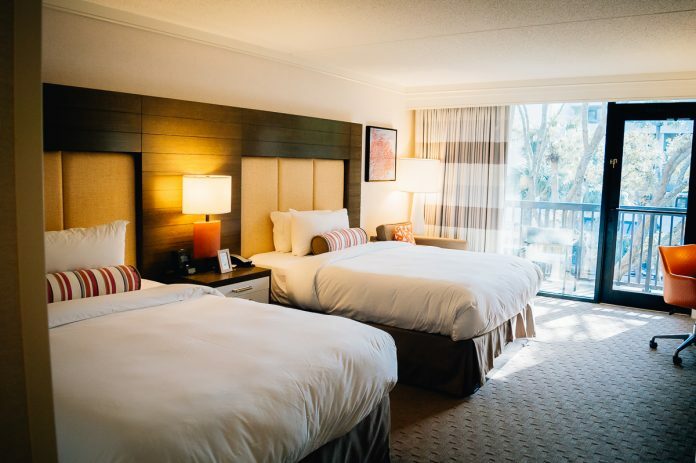 Whether you are planning to take a trip with your whole family, your significant other, or solo; you will find everything you need at Sonesta Hilton Head Island Resort. Sonesta offers beautiful accommodations with all of the Southern Charm you desire. 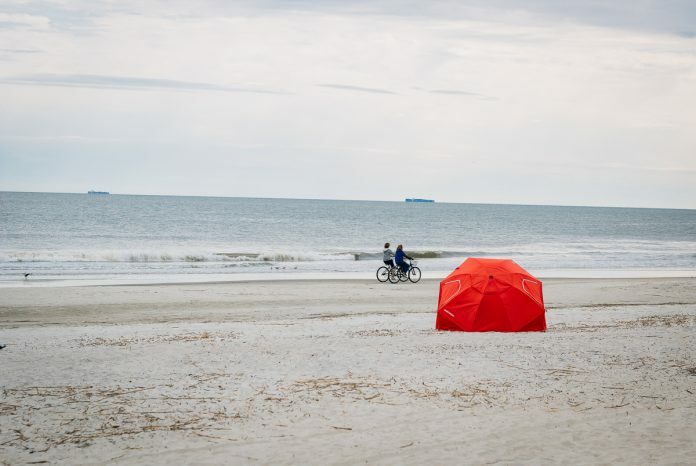 Hilton Head beaches are some of the best in the United States. Over the past 50 years, Hilton Head has made a name for itself as one of the most sought after beach destinations in the United States. In fact, Hilton Head has won the prestigious title of #1 Island in the continental United States for the third year in row in Travel + Leisure magazine’s “World’s Best Awards.” However, the awards don’t stop there, Hilton Head was also voted the “#1 Island” in Conde Nast Traveler magazine’s acclaimed Reader’s Choice Awards. This is an island you must visit this year. If you are bringing the kids there are miles of white, sandy beaches perfect for play. 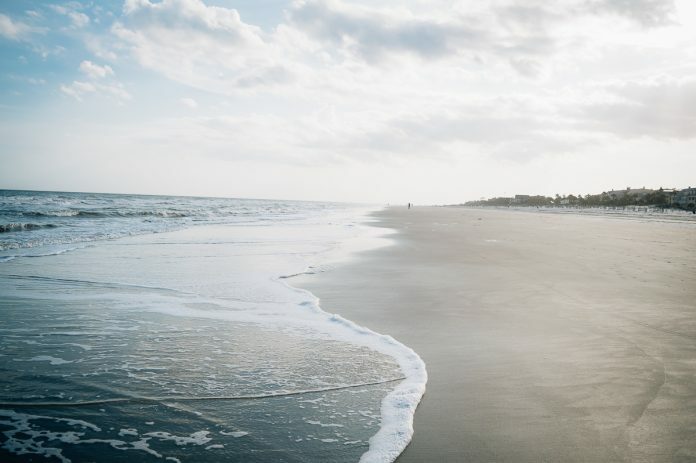 From building sandcastles to splashing in the waves, a day spent at the Hilton Head beaches is a fun-filled day for the entire family. Alternatively, if you’re there for a romantic couples weekend or a solo getaway, taking a sunset walk by the water’s edge or spending the day enjoying the ocean will provide breathtaking views and relaxation. Looking for toys to take to the beach? Check out our Summer Toy Review with Playmobil. Always important for making a vacation outstanding are the accommodations. 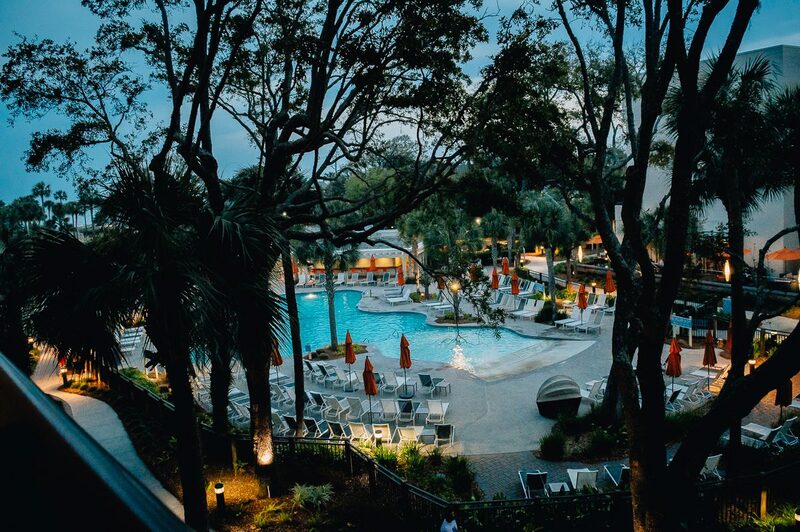 Sonesta Hilton Head Island Resort does not disappoint. A home away from home is exactly what you will find at Sonesta. All rooms feature lush, comfortable beds that beckon one to stay tucked in longer than usual. Each room is equipped with state of the art televisions for late night movie watching, and all the amenities you could possibly need for your family vacation or weekend getaway. Luxurious bathrooms complete the room giving guests a spa-like experience. Rooms also have private balconies or patios that overlook the lush tropical gardens of Shipyard Plantation that surrounds Sonesta. Cooking and dirty dishes are something we will gladly give up on vacation. Luckily, Sonesta Hilton Head Island Resort has thought of everything including delicious food and drinks. At Sonesta you will find everything from fine dining with a southern twist to quick eats poolside to fulfill all of your vacation cravings. Each restaurant offers a different atmosphere but they all offer delicious mouth-watering food and beverages. If fine dining is what you are after Heyward’s Resturant is where you will find it. 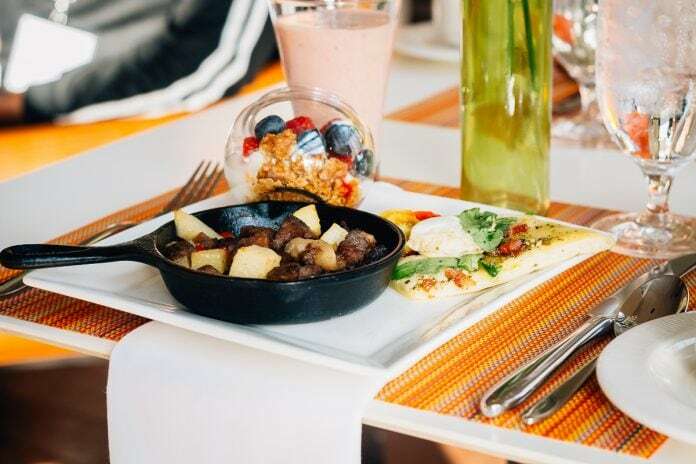 Breakfast is served daily, including a delicious buffet. At night enjoy personal, fine dining focusing on low country favorites like seafood, steaks, and deliciously crafted pastas. One of the best parts of warm weather is enjoying a scrumptious meal or artfully crafted cocktail outside. The Seacrest Terrace and Patio offers both indoor and outdoor seating options overlooking the ornate pool grounds. The restaurant offers more casual dining options but the food does not disappoint. 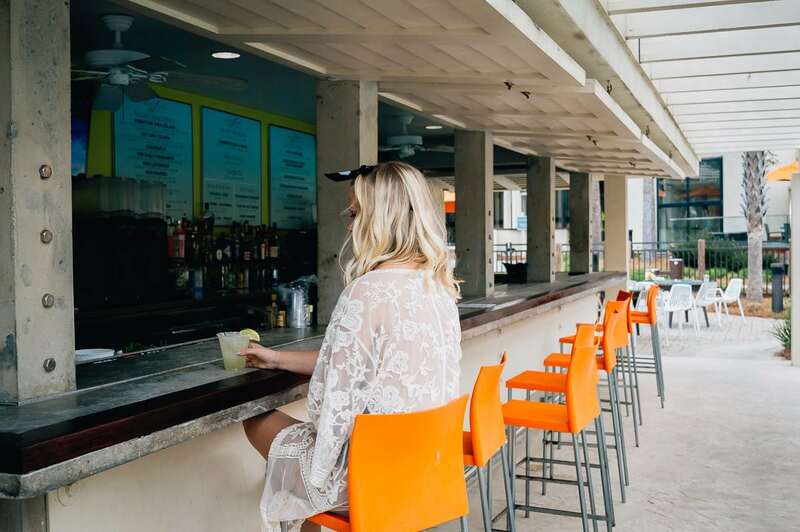 Bayley’s Bar and Terrace and Sweet Cane Bar and Grill is the perfect place to stop for an afternoon margarita by the pool. Bayley’s located in the heart of the hotel offers crafted morning brews for your early AM beach walks and hand poured cocktails when you are winding down at night. Sweet Cane Bar and Grill is an island bar located poolside perfect for grabbing a refreshment and snack while soaking up some sun. Want to enjoy a cocktail without blowing your summer bod? Check out these 5 Keto Friendly Summer Drinks. If you are visiting for some R&R, try out one of the newest spas in Hilton Head. Arum Spa offers rejuvenating facials, massages, nail services, body treatments and much more. Using a combination of Swedish and Therapeutic massage techniques you will find yourself drifting slowly into vacation mode with each gentle touch. Try out our personal favorite, the hot stone massage. Feel yourself relax as the warm basalt lave stones gently strip all of your stress away. Did you forget to get that bikini line waxed before vacation? Don’t worry, they even offer waxing with smooth, long lasting results. Finish off your day at the spa with a complimentary glass of lavender bubbly. Finally, continue your rest, relation, and rejuvenation by taking a dip in the zero entrance lagoon pool, sipping a glass of wine by one of the many outdoor fire pits, participating in a yoga class, or visiting the wide, sandy beach for an evening stroll. 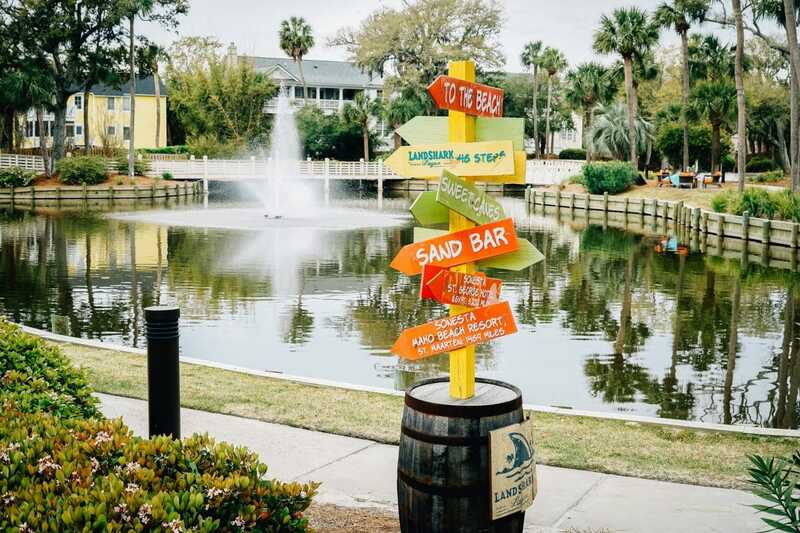 If your version of an amazing vacation includes outdoor adventure, Sonesta Hilton Head Island Resort offers several activities on-site to keep you and your family busy. Grab a bike and explore the onsite lushly landscaped tropical gardens. The gorgeous white sandy beach is flat and wide, making it the perfect place for an early morning bike ride to start your day. Sonesta Resort Hilton Head Island Resort also offers a 24-hour fitness center with state-of-the-art equipment to keep your regular fitness routine in place. You can even take a dip in the outdoor hot tub after your intense workout to ease sore muscles. 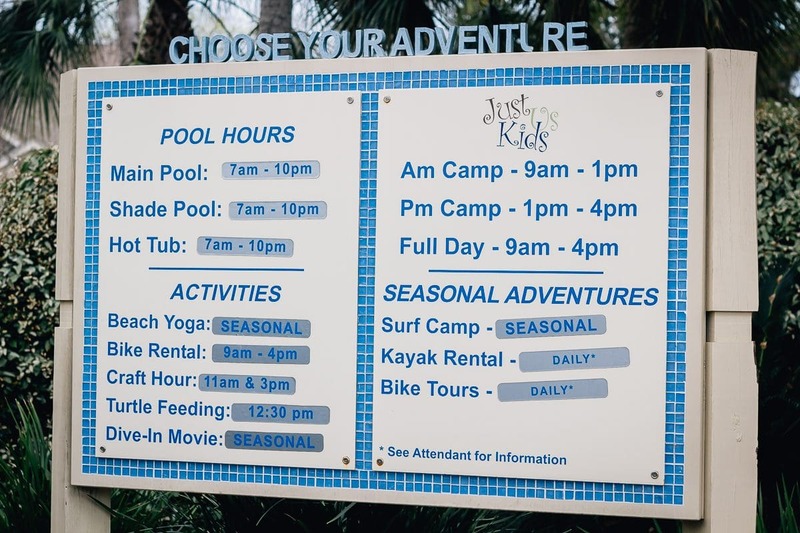 With several activities that are great for the whole family, such as kayak rentals, surf lessons, turtle feeding and so much more, the Sonesta Resort Hilton Head is the perfect destination for those who love adventure. 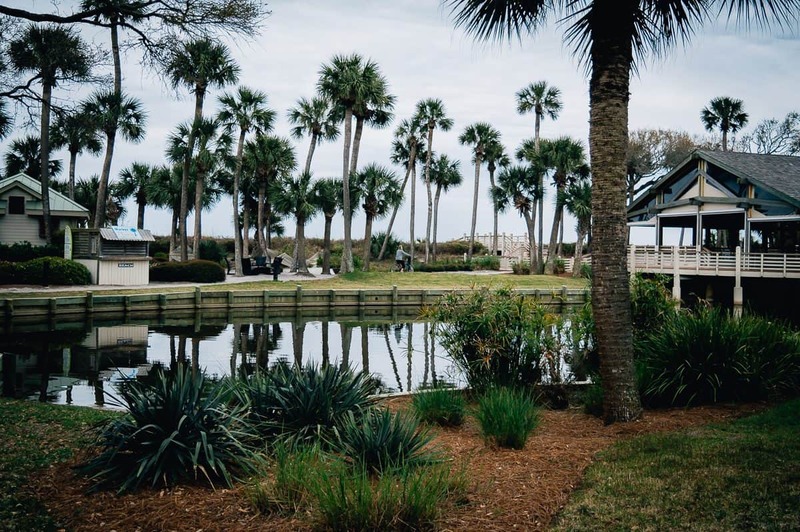 Do you deserve a kid-free day exploring Hilton Head? Sonesta Hilton Head Island Resort has you covered with the Just Us Kids supervised club. The caretakers provide entertaining experiences including crafts, beach adventures, and games. And the fun doesn’t end there! There is also “Dive-In” movies on Saturday nights, where the kids can watch a family-friendly movie poolside while mom and dad grab a bite to eat alone. READ MORE: Traveling with your family? Check out Summer Travel Essentials for Vacations with a Toddler. True to their Southern Hospitality roots, everyone at Sonesta Hilton Head Island Resort is willing to offer a helping hand. 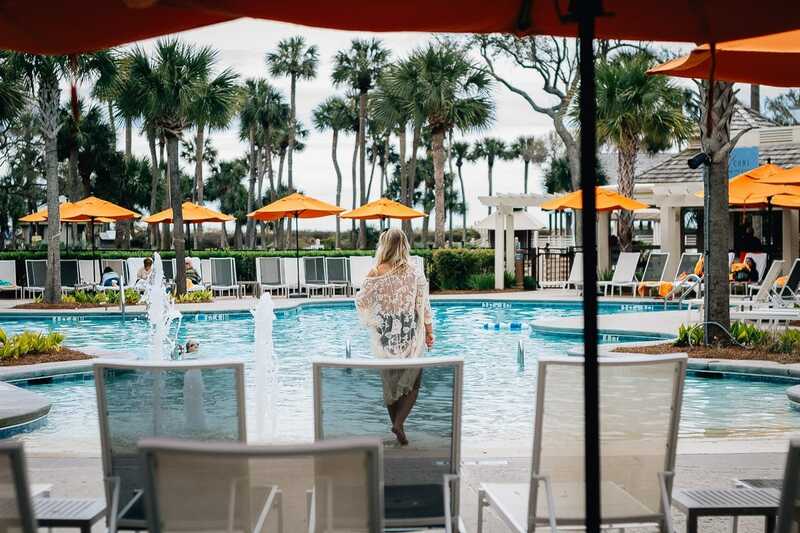 From the warm smile of the bellhop greeting you upon arrival to the front desk concierge offering information about all the resort happenings and those around town, the Sonesta Hilton Head Island Resort treats you feel like family, making this relaxing resort your home away from home. Vacations should bring peace and rejuvenation to your life. 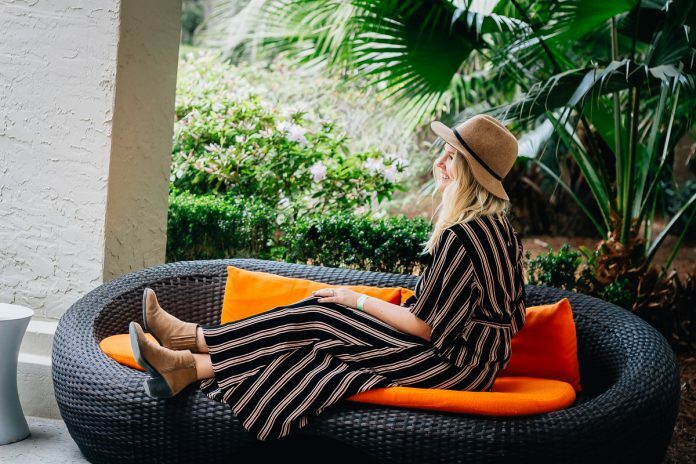 Whether you are escaping the mundane daily work hustle or breaking away to spend more time with your loved ones, Sonesta Hilton Head Island Resort has everything you need to replenish your soul. 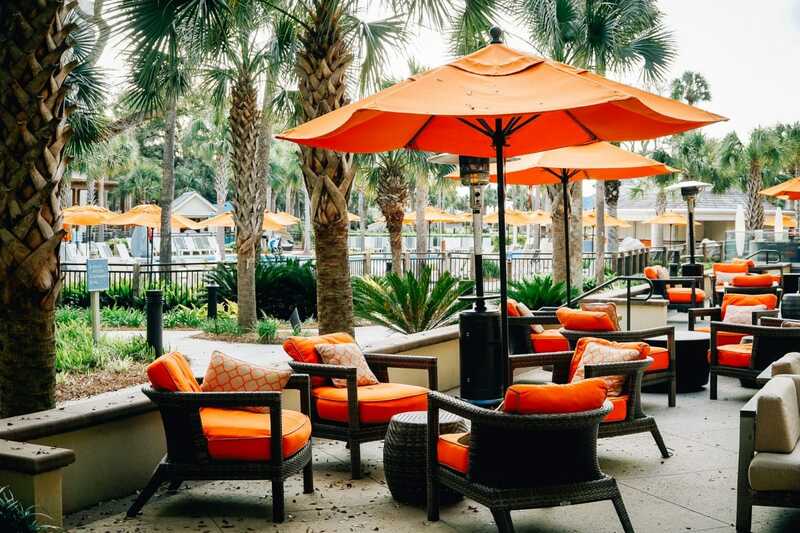 The perfect beach destination all year round, head to the Sonesta Hilton Head Island Resort for a memorable solo or family vacation this year. We promise you will not be disappointed! Photo Credit: Ashley W., Alicia L.